DrivethruL Driving School is a driving school with fully qualified driving instructors. Our aim is to teach our pupils all the right skills and have the correct attitude to drive with confidence to the highest standard making them safe drivers. We provide driving lessons to learners of all abilities. Our pupil’s satisfactory is our main priority. Lessons are tailored to each and individuals need to make them interesting and motivating ensuring it is informative and worth it. 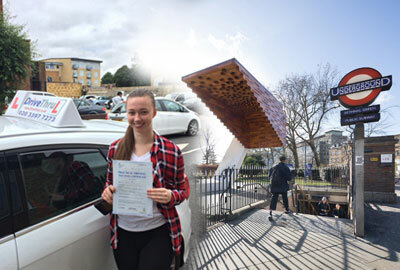 DrivethruL Driving School is one of the best driving schools in Bethnal Green to help you achieve your dream to become a fully licensed driver. We have driving instructors who provide driving lessons to manual and automatic learners. Learning how to drive in a manual car can seem daunting for first time learners but once you pass your driving test you will be able to choose whether you want to drive a manual or automatic car- spoilt for choice! Whilst learning in an automatic car might not give you that advantage however if time is short and need to learn fast or maybe your nerves get the better of you then automatic driving lessons is definitely for you. All driving tuitions are taken in fully fitted dual controls cars and fully insured cars. You will be taught with patience and professionalism to help you get that pass that you deserve. Introductory Offers for first time learners! More lessons you book, the more you save! Give us a call and book your driving lessons today! DrivethruL Driving School in Bethnal Green is an independently run driving school offering high quality driving lessons in and around the East London and Bethnal green area.